The first book by historian Edward J. Blum, Reforging the White Republic: Race, Religion, and American Nationalism, 1865–1898 (LSU Press, 2005), had a profound influence on my thinking. I have been assigning a chapter from it to graduate students ever since it first leapt into my imagination. We all know about our nation’s history of systematic racism, Jim Crow, and the implication of the American church in spreading racism and empire, but sometimes a book arrives in a person’s life at the right place and the right time. For whatever reasons, sometimes a certain book just clicks. Personally, I had known about these historical realities much of my career; perhaps I had even taken that knowledge for granted. I had certainly presented the materials in many classrooms. But there was something stunning about how Blum’s book put it all together in such a powerful presentation. The book gripped me as never before and shocked me about things I should have known already. I admired Blum’s ability to bring together so much material from so many different areas of learning, especially because it was an example of the kind of interdisciplinary work that I aspired to achieve myself. Blum insists that the failure of Reconstruction should be traced to American religious institutions and values. Situating his work at the interstices of recent scholarship on historical memory, nationalism, and cultural history, he convincingly argues that an amalgam of “whiteness, godliness, and American nationalism” came to define not only postwar Protestantism but also the United States as a whole. His next book W. E. B. Du Bois, American Prophet (Univ. of Pennsylvania Press, 2007) set a new standard for the scholarly study of the great black leader’s spirituality. That book impressed me especially because I was trying to do some of the same things with Mark Twain: I wanted to recover the religious and spiritual power of Mark Twain’s writings, and I felt that those spiritual themes and arguments had somehow been overlooked, if not entirely ignored. Partly this was due to scholarly skepticism, if not paranoia, about religion. I was greatly heartened to read Blum’s book on Du Bois, a work that made many of the same kinds of basic arguments. I began corresponding with Blum, seeking help on my own research, and I found him to be an extremely responsive and amiable personality. So it was clear that Blum was now a writer I should continue to follow. A close working colleague of Blum’s has been Paul Harvey, former Lilly Fellow at Valparaiso University and now professor of history at the University of Colorado at Colorado Springs. Among Harvey’s greatest accomplishments has been the founding and oversight of one of the most influential academic blogs in the humanities; “Religion in American History” at usreligion.blogspot.com, where Blum is a frequent contributor as well. 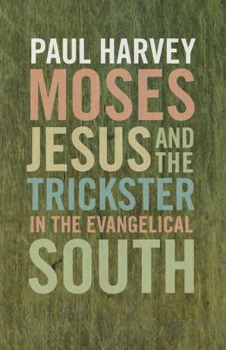 Harvey’s most recent single-author volume is Moses, Jesus, and the Trickster in the Evangelical South, a study of the phenomenon he calls “southern evangelicalism.” He asks provocative questions about this subculture: Is it a stereotype? Does it capture fully the vigor and depth of Southern religion? And how can we account for the fact that the most religious section of America has also been the region with the highest rates of alcoholism, divorce, incarceration, obesity, infant mortality, and assault? One of the most intriguing aspects of Moses, Jesus, and the Trickster is the manner in which Harvey so seamlessly weaves a fabric of culture, sociology of religion, historiography, and literary history and criticism. He presents brief accounts of major authors like William Faulkner and Toni Morrison, songwriters like Blind Willie Johnson and Johnny Cash, as well as preachers like Martin Luther King and others. Given the fact that this volume derives from three lengthy public speeches, we should be forgiving if these varied accounts are somewhat underdeveloped. Harvey is going for the big picture here, not really a “thick description” that two or three times the word count might allow. It is a short book that gets right to the point, easily read in a few hours. Nevertheless, his readings of Absalom, Absalom! and Beloved, for instance, are stirring, and his coupling of Faulkner and C. Vann Woodward is the sort of thing that rarely happens in literary studies. 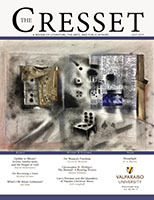 He quotes Woodward: “The experience of evil and the experience of tragedy are parts of the Southern heritage that are as difficult to reconcile with the American legend of innocence and social felicity as the experience of poverty and defeat are to reconcile with the legends of abundance and success” (40). Moses, Jesus, and the Trickster is a very fine introductory discussion of some of these paradoxes of Southernness, especially the manner in which religious thought has influenced the Southern writers to produce works of unusual psychic depth. If the idea of a “Christ-haunted South” has long roots, Harvey tweaks it to give it new life and to ask provocative questions. 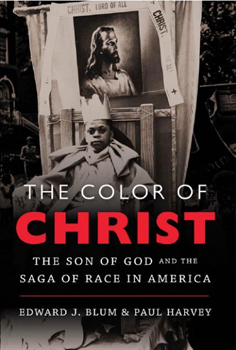 Now joining forces as two of the best mid-career historians of American religious culture and history, Paul Harvey and Edward Blum’s latest achievement is The Color of Christ: The Son of God and the Saga of Race in America. There is some overlap between The Color of Christ and Harvey’s book Moses, Jesus, and the Trickster, particularly Harvey’s final chapter about the black Jesus during the Civil Rights era. As such, Harvey’s volume begins the discussion of the changing “face” of Jesus in American cultural history. Harvey’s book ends with a discussion of Martin Luther King’s eulogy for the four girls killed in Birmingham and the face of Jesus blown out of the stained glass window at Sixteenth Street Baptist Church in September, 1963. This is precisely the anecdote with which Harvey and Blum begin their newest volume. Thus we immediately see a connection between the works. More expansively, The Color of Christ tells the story of the changing imagery of Christ from the seventeenth century to South Park. That is asking a lot, and perhaps that is why these two scholars chose to bring each other in as co-authors. Together they do a magnificent job, and cover a lot of ground. In particular, this book is provocative in challenging us to rethink the interconnections between race and religion as documented in artistic renderings of Jesus. The authors claim, “To focus on the holy face of Jesus in America is to reckon with the making and power of race” (14). 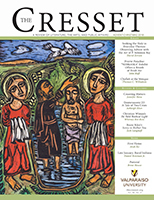 The authors’ project is thus firmly in the tradition of cultural studies: “By honing in on Christ’s body and how Americans encountered it through artwork, dreams, visions, descriptions, and assumptions, this book reveals a great deal about the people of the United States: their passions, creativity’s, dilemmas, and problem” (14). 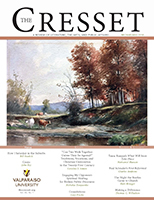 Religious ideas and images challenged racism, whether in the form of novelist Harriet Beecher Stowe imagining a whipped slave as she took communion and then writing Uncle Tom’s Cabin or of artists painting new black, red, or brown portraits of Jesus to inspire pride in peoples rendered nonwhite. At times wicked, at other times wondrous, the combination of race and religion continues to impact Americans (16). The authors consider the extent to which American depictions of Jesus were dependent upon European art, and to a large extent reject that connection. In making this claim, they recite a fascinating story in which a medieval falsehood was recounted as a fact in the nineteenth century and then forgotten during the twentieth. In the late-nineteenth and early-twentieth centuries, white Americans used the description of Jesus found in a fraudulent medieval-era letter, known as the “Publius Lentulus letter,” to recast Jesus as a symbol of white racial supremacy. The letter, which claimed to be penned by a governor of Judea in the time of Christ, described Christ as having hair “…the color of the ripe hazel nut… wavy and curled, with a bluish and bright reflection flowing over his shoulders.” After this letter was finally shown to be a fraud “…the legend died. The images it inspired did not” (20). The connection between whiteness and Jesus is the major theme of the book, and to a lesser extent has been a major theme throughout the work of both authors, particularly Blum. In this regard, the authors complicate another “myth” about the history of race and religion in America: “that black liberation theology was born in the 1960s. This myth emerged recently when American media outlets set out to explain the preaching of the Rev. Jeremiah Wright. This Chicago minister’s claim that Jesus was black and that whites crucified him, and the fact that presidential aspirant Barack Obama was a member of this congregation, led reporters to the theological works of James Cone” (21). As The Color of Christ shows, this story has much deeper historical roots, much of which is documented in the graphic arts of earlier generations. In effect, The Color of Christ argues “that there was never a universal American culture for Jesus to uphold. Racial categories and hierarchies made sure of this. But there were dominant conceptions of Christ that were used and challenged as part of struggles for independence, authority, and freedom” (22). If every picture tells a story, the pictures of Jesus through the years tell a story as well, and for Harvey and Blum, that story revolves mainly around the battle for racial equality and harmony. In an interview several years ago, Blum described his own scholarly aims as follows: “I hope that Reforging the White Republic can encourage discussions of how white Protestants fund and fuel the dangerous and violent notion that somehow white supremacy, big business, American nationalism, and international imperialism are sacred entities beloved by God.” In this aim, Blum’s work has much in common with such books as Race and Reunion (2001) by David Blight, a study that Blum both draws upon and seeks to emulate and expand. In The Color of Christ, Blum and Harvey take this critique further, suggesting that graphic depictions of Jesus have both underscored America’s racist tendencies and sometimes challenged them. The general upshot of The Color of Christ is once again to “encourage discussions” about the emergence of certain views about the race (and face) of Jesus, as well as the race (and face) of real Americans. Always, these two authors continue to champion and call for a keen sensitivity to the religious roots of racial thought in America. Blum and Harvey show how those changing faces, over a long history of struggle toward grasping how all peoples are created equal, have influenced and helped articulate the proposition that Lincoln announced in his Gettysburg Address as the cornerstone upon which our nation was founded. And the struggle continues. Harold K. Bush is Professor of English at Saint Louis University and author, most recently, of Lincoln in His Own Time.